c) Mass entertainers, where even his so-called flops would rake in enough revenue to distributors, theatre owners and producers. Vijay in Ghilli, to Vijay in Bairaava. Images from Twitter. From a gawky teenage actor to a powerhouse box office boss, Vijay has grown to be his own competitor. This is true for Ajith as well in the recent years, as both Vijay and Ajith’s films compete for clout; their fans take the twitter and online world by storm with memes and video edits each time any one of their films release. 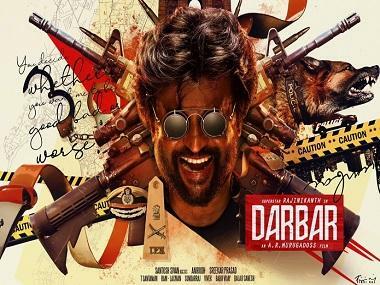 Vijay replies nonchalantly, “Well, that’s what they say...” It is not an exaggeration to claim that post Pokkiri (directed by Prabhudeva in Tamil, Wanted in Hindi with Salman Khan), Vijay’s films have come to equal Rajinikanth’s box-office clout. 2016 was a year when Vijay’s Theri and Rajinikanth’s Kabali were the highest grosser. He made his debut in 1992 with Naalaiya Theerpu, and till about 2002, Vijay dabbled in a variety of Telugu remakes (Vaseegara, Priyamanavaley). He hit bull’s eye with Jyothika as his lead-pair in Khushi. It was then that the transformation happened. From portraying characters who sacrificed love or obeyed elders in the house, Vijay on-screen persona changed. He truly arrived with director Dharani’s 2004 super-hit Ghilli (local Tamil slang for a guy who’s an Ace in anything he does). A lot of Vijay’s current persona in his movies is inspired from Dharani’s epoch-making film. Smiling mannerisms, flair for comedy and tight action sequences can all be traced back to this one mass entertainer. Ghilli is an official remake of Mahesh Babu’s Telugu film Okkadu (Only one) but Dharani made adequate changes in the second half in the Tamil version which makes it racier than the Telugu original. Vijay soared in a role tailor-made for his boyish charm and sprightly action with minimal display of romance. The film ran for 200 days and had fans rooting for more. The song 'Appdi podu' is a cult and Vijay began to concentrate more on his dancing skills. He emerged stronger with his introduction songs being so looked forward to. In the song 'Aadaungada Yenna suththi' (Dance around me) from Pokkiri, where he matches steps with Prabhudeva or 'Yella Pugazhum Oruvan Oruvanukkey' (the tune Rahman altered for his Oscar winning 'Jai Ho') and you will see how Vijay followed the template set by the Telugu Megastar Chiranjeevi. It is a “flop-proof” template which ensured Vijay gave back-to-back hits post 2004. Vijay adapted himself suitably well to the remake of 3 Idiots. Nanban (Friend) directed by Shankar, is a faithful remake and Vijay, with his genial face and sincere performance nailed the college student role (he had become a father of two kids by then). A Vijay film is never sans a formula. In some films, the formula works beyond expectations and in others the formula tanks for a universal audience but for his fans, it still works (eg: Sura). Vijay’s super-hit stint with A R Murugadas began with Thuppaki (remade in Hindi with Akshay Kumar as Holiday) and this director-actor duo followed their success with Kaththi (which is being remade with Chiranjeevi in Telugu as Khaidi No 150). 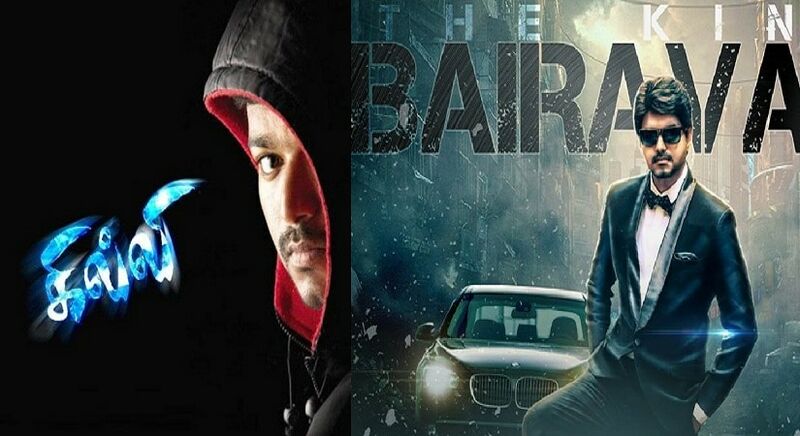 Incidentally both Vijay’s 60th film Bairaava, and Chiranjeevi’s Khaidi No 150 release on the same date – Jan 12. In some ways, it is a dual celebration for Vijay as his films have a stupendous response in Andhra Pradesh and Kerala as well, especially in the latter state, where he is also the brand ambassador for a Dubai-based jewellery brand. Off-screen, he comes across as a simple home-bird who loves a good joke and can conjure up a few of his own. Vijay’s Bairaava is the first big star-led release for 2017 and post demonetisation, it remains to be seen how much of the on-screen Vijay magic will bring in larger sections of the audience into theatres.